On the eve of Azerbaijan’s hearing by the UN anti-torture body, the OMCT and IPHR provided a detailed briefing on torture and other forms of cruel, inhuman or degrading treatment in Azerbaijan. Both organizations are lodging an urgent call to the Committee against Torture (UNCAT) to hold the authorities to account for the arbitrary arrest and detention of leading anti-torture activists calling for their protection and safety amid serious concern over their security. Over the last two years there has been an internationally unprecedented clampdown on any critical human rights voice, including the countries leading anti-torture activists. In unfair trials, dozens of Human Rights Defenders have been sentenced to long-term imprisonment for fraud, illegal business, or hooliganism as a punishment for their human rights activities and for raising their voice against a corrupt and autocratic government. There have been repeated and credible concerns over violence against human rights defenders, such as Leyla Yunus, member of the OMCT General Assembly. The OMCT and IPHR have brought this and other cases to the attention of the authoritative UN anti-torture body. There is no torture prevention when all credible human rights defenders supporting victims of torture and supporting their call for justice are detained, driven to exile or silenced. “We are concerned over the safety of our colleagues and members. We fear the return of patterns suggesting a clear intention not only to arbitrarily detain but to break human rights defenders in prison”, said Gerald Staberock, OMCT Secretary General. “The attempted logic of ‘no defender’ – ‘no torture’ is a greatly alarming defying truth and justice. The ‘no defender’ – no torture’ approach also questions the very integrity of the reporting process under the UN Convention Against Torture”, he added in a comment. The OMCT and IPHR also informed the UNCAT about the conditions, including in the detention facilities under the Ministry of National Security where prisoners are held in almost complete isolation. Both organizations consider that the continuous existence of such detention, almost two decades after the start of prison reforms in Azerbaijan, is unacceptable and in violation of international human rights standards. A number of Human Rights Defenders further suffer from serious health conditions and are deliberately prevented from receiving adequate health care. Alarmingly, the Ombudsman Office and its National Preventive Mechanism, whose establishment the international community had supported over the last decade have largely justified government policies against human rights defenders. 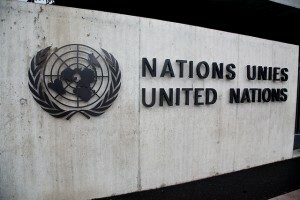 Earlier last year the UN Sub-Committee for the Prevention of Torture in a very rare occurrence had to suspend its visit to Azerbaijan for a lack of cooperation by the authorities – another indication of the authorities’ attempt to suppress independent scrutiny to its treatment and detention record. “The international community has invested a great deal into the setting up of National Preventive Mechanisms and Ombudsman Institutions, mandated to monitor places of detention and to prevent torture. In Azerbaijan, these mechanisms are completely failing. It is time that these institutions live up to their expectation and assume their responsibility. Ultimately, without any credible civil society voice left we have to assume that whatever is known today about custody, detention and ill-treatment is only a glimpse of a tip of the iceberg”, said Brigitte Dufour, Director of IPHR. OMCT and IPHR have also submitted an alternative report to the CAT for its review of Azerbaijan: It is available here. The review of Azerbaijan’s report will take place on Wednesday 11 November 2015 (10am to 12pm CET) and on Thursday 12 November 2015 (3pm to 6pm CET) and can be followed live on treaty body webcast: www.treatybodywebcast.org. The OMCT will also be reporting from the session using Twitter.